Back before Live Aid, Farm Aid, Live 8 and all the other benefit concerts, we had 1971’s “The Concert for Bangladesh”. Organized by George Harrison and Ravi Shankar to provide relief for Pakistani refugees, this event actually consisted of two concerts, both staged on August 1, 1971. Performed at Madison Square Garden, there was an evening show as well as a matinee that was added when the nighttime event sold out quickly. 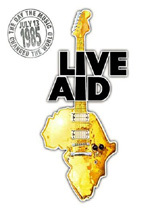 The shows didn’t boast a roster of participants that competes with massive outings like Live Aid or Live 8, but it still holds up very well. Harrison acted as the main performer and ringleader. This was a big deal since Bangladesh was his first-ever live solo concert. In another notable coup, Harrison enticed Bob Dylan to return to the stage for the first time in a while. As for other big names, Eric Clapton played guitar while Ringo Starr pounded on the drums. Starr also sang lead on “It Don’t Come Easy”, but Clapton took no vocals. Shankar did an opening number, while second-tier performers Billy Preston and Leon Russell added their own tracks. George does just fine for himself, though I must admit I think the show reaches its peak with a few of the guest spots. I absolutely adore Ringo’s take on “It Don’t Come Easy”. Arguably his best song, it really shines on stage, particularly when we get a tight, biting guitar solo. Preston takes us to church with “That’s the Way God Planned It” and provides one of the concert’s most fun moments when he dances at the front of the stage. Russell’s medley of “Jumping Jack Flash/Youngblood” doesn’t define the two songs, but he makes them work on his own terms. Dylan’s short set provides the evening’s biggest disappointment. Whether due to nerves or some other factor, Dylan never quite coalesces with the accompaniment of Harrison on electric guitar and Russell on bass. The performance improves a little as it progresses, but it doesn’t become anything noteworthy or memorable. Were it not for the Shankar set, Dylan’s pieces would be the most skip-worthy of the night. Back on the 3-LP release of Bangladesh, Shankar’s “Bangla Dhun” filled side one. If I had a nickel for every fan who listened to that side more than once… I’d have about 85 cents. I mean no disrespect for the music, but it’s simply not my cup of mango lassi. At least Shankar’s set offers the evening’s most amusing moment. The clueless crowd applauds after the musicians briefly tune their instruments; that inspires a quip from Shankar about how if they liked that, they should really dig the actual music. When we examine the concert’s headliner, we find that Harrison did just fine for himself, but not any better than that. Half of his set featured tunes from his then-recent – now classic – 1970 album All Things Must Pass. We also got three Beatles numbers via “Something”, “Here Comes the Sun”, and “While My Guitar Gently Weeps” as well as his brand-new benefit single “Bangla-Desh”. “Weeps” stands as the only true disappointment of the Harrison numbers, largely because Clapton fails to dig into the solo with the expected fervor. Otherwise, everything sounds good, but not great. “Something” benefits from the large band the most, as the extra musicians give it a nice sweeping quality. I also like the take on “Beware of Darkness”, especially when Harrison turns it over to Russell for a verse. All around, this is a quality performance. Harrison pulled it together in very little time, a fact that makes the good aspects of the music all the more impressive. As a concert movie, however, it’s nothing special. That doesn’t mean it’s bad, though. Indeed, Bangladesh avoids many of the pitfalls that mar modern performance flicks. We get no quick cutting or gimmicks, as the action focuses strongly on the musicians and the stage. It’s all just quite bland, and some technical problems mean frustrating choices. For instance, during “It Don’t Come Easy”, we see a close-up of Ringo during the entire solo. I assume no good shot of the guitarist was available, but it’s still irritating. Plenty of sloppy camerawork abounds. We see iffy focus at times and ugly angles. That’s all part and parcel of a loosely organized shoot, though. In the end, there’s much more to like here than to criticize. The Concert for Bangladesh presents a surfeit of great music and strong performances. Despite messy technical work, it offers an adequate depiction of a legendary event. -Dylan played “Mr. Tambourine Man” at the evening performance. This appears on the album but not in the movie. Since we also don’t find it in this package’s extras, I would guess that there’s no useable film footage of it. -Many anticipated a full Beatles reunion. Apparently this was never going to happen since McCartney flatly refused, allegedly due to animosity over legal wranglings. However, Lennon agreed to come but backed out due to a misunderstanding between himself and Harrison over Yoko’s role in the proceedings. -Mick Jagger also attempted to attend but was unable to get a visa to enter the US. The Concert for Bangladesh appears in an aspect ratio of 1.33:1 on this single-sided, double-layered DVD; due to those dimensions, the image has not been enhanced for 16X9 televisions. Since the movie was shot on 16mm film and took place more than 30 years ago, don’t expect visual dynamics from the transfer. That said, it looked pretty darned good considering its origins. Given all those constraints and problems, Bangladesh looked pretty darned good. Sharpness was erratic. Close-ups manifested reasonably solid definition and delineation, but wider shots turned iffier. Those presented moderate softness and never seemed terribly concise. At least no issues with jagged edges or shimmering occurred, and I noticed no signs of edge enhancement. Source flaws were delightfully absent. You’ll notice a fair amount of grain throughout the film, but that’s inevitable. Bangladesh was shot 16mm, and that format tends to be pretty grainy. The grain was never a real distraction, though, and the rest of the movie lacked any form of specks, marks, or other defects. Don’t expect a feast of colors from Bangladesh, for it stayed with a restrained palette. Lighting offered most of the hues, and they were somewhat messy. The tones came across as well as I might expect, but they tended to be a bit on the heavy side, especially when the stage production used red lighting. Black levels didn’t excel, but they seemed reasonably deep and solid. Shadow detail was a bit dense but worked acceptably well. No one will view Bangladesh as a dynamic visual presentation, but I thought the transfer was quite good given the limitations of the source material. While I didn’t expect much from the picture, I went into The Concert for Bangladesh with high hopes for its audio. Happily, the Dolby Digital 5.1 and DTS 5.1 soundtracks lived up to my expectations. I thought the pair were very similar. The DTS mix was slightly warmer, but otherwise I heard nothing to differentiate the pair. Bangladesh offered a nicely open and spacious soundfield. Across the front, instrumentation spread appropriately and distinctly. The instruments were cleanly defined in their specific spots. Vocals stayed centered and didn’t bleed to the sides. The music sounded nicely integrated and airy, as the songs meshed together well and demonstrated a solid stereo image. Surrounds mostly served to reinforce the forward audio. A lot of stereo crowd noise cropped up back there, and the rear speakers provided a sense of concert hall ambience as well. The mix avoided gimmicky material and it stuck with an involving stereo presentation for the most part. The DVD presented excellent sonics. Vocals always came across as natural and accurate. I noticed no edginess or distortion as the singing appeared lively and distinct. Guitars chimed appropriately while drums snapped. Bass response sounded solid. Low-end was tight and deep, and I noticed no ill-defined or excessively loud elements. Everything about these mixes bolstered the presentation; I thought Bangladesh sounded great. All of the DVD’s extras appear on Disc Two. These open with a 44-minute and 45-secon documentary called The Concert for Bangladesh Revisited. This program combines film clips, archival materials, and interviews. We get period comments from George Harrison along with modern remarks from musicians Ringo Starr, Billy Preston, Ravi Shankar, Jim Keltner, Eric Clapton and Leon Russell, Rolling Stone publisher Jann Wenner, UNICEF UK president Lord Puttnam, production manager Jonathan Taplin, Apple Corps’ Neil Aspinall, UN Secretary General Kofi Annan, Sir Bob Geldof and US Fund for UNICEF president Charles Lyons. 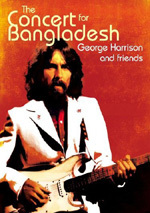 The show covers the problems in Bangladesh and the origins of the concert, organizing the event and recruiting the musicians, rehearsals and the performances, problems getting Clapton to show up and his issues at the time, Bob Dylan’s appearance, Shankar’s portion of the concert, the atmosphere in the rock world at the time and the shows’ impact on Bangladesh, music and future charity work. On the negative side, “Revisited” includes too many long movie snippets. After all, we already own the concert film, so we don’t need to see all those clips. I don’t think the show digs into its subject with great depth either, but it offers a decent overview. Some of the anecdotes about Clapton and Dylan are good, and we learn a reasonable level of detail about the concerts and what they did. Matters get a bit self-congratulatory, but we still get a nice general examination of the topics. Fans will want to see the three Previously Unseen Performances. This area includes “If Not For You” (two minute, 53 seconds), “Come On In My Kitchen” (2:45) and “Love Minus Zero/No Limit” (4:13). The first pairs Harrison and Dylan in an acoustic rendition shot during rehearsals, while “Kitchen” offers a Leon Russell tune filmed in the same circumstances. Finally, Dylan’s “Love/Limit” comes from the matinee concert. All three offer varying degrees of sloppiness, but they’re a lot of fun to watch and hear. Next we encounter a few featurettes. The Making of the Film runs seven minutes, 55 seconds and includes comments from Aspinall, Keltner, Wenner, musicians Jim Horn and Chuck Findley, mix down engineers Norm Kinney and Steve Mitchell, and director Saul Swimmer. They discuss the difficulties of shooting the film as well as mixing the audio. We also get some anecdotes about Phil Spector and a hidden message at the end of the album. A smattering of decent notes pop up here, but I don’t think we learn a whole lot. The Making of the Album lasts four minutes, 25 seconds and presents remarks from Harrison and former Capitol Records head Bhaskar Menon. The show discusses the legal complications related to the record and the machinations related to that subject. We also see footage of Ringo at the Grammys as he picks up an award for the album. The featurette’s title seems misleading; it addresses the release of the album but doesn’t get into its creation. Still, it provides a decent look at those issues. Titled, The Original Artwork, the next featurette fills four minutes, nine seconds. We hear from Taplin, Menon, art director Tom Wilkes, and stills photographer Barry Feinstein. 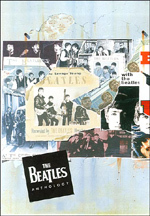 The show gets into the choice of cover photo and the images in the album’s booklet. Some interesting notes pop up here, especially when Wilkes gets into problems shooting Bob Dylan. It’s a short but useful program. Finally, Recollections of August 1st 1971 offers a three-minute and 39-second look back at the event. We find comments from Starr, Keltner, Menon, Preston, Taplin, Wenner, Puttnam, Russell, Horn, Aspinall, Shankar and musician Klaus Voormann. The only truly interesting story examines Dylan’s appearance and Russell’s turn on bass. Otherwise, this is mostly a discussion of what a great day it was. That makes this a bland featurette. A Photo Gallery provides a running program. In this three-minute and 33-second piece, we see shots from the concert accompanied by a performance of “Beware of Darkness”. Finally, Take a Bow goes for 104 seconds and simply acts as a curtain call for the musicians; we see them along with their names. 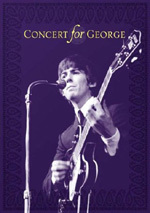 1971’s The Concert for Bangladesh was the original star-studded charity concert. With a roster that includes legends like George Harrison, Bob Dylan, Ringo Starr and Eric Clapton, it remains one of the best. The movie suffers from a few problems, but it covers the event in a generally competent manner. The DVD presents better than expected visuals along with excellent audio. We don’t find a ton of strong extras, but many of the ones we get have some merit, especially when we check out the exclusive performances. It’s about time we got a good home video release of Bangladesh. I strongly recommend this DVD.